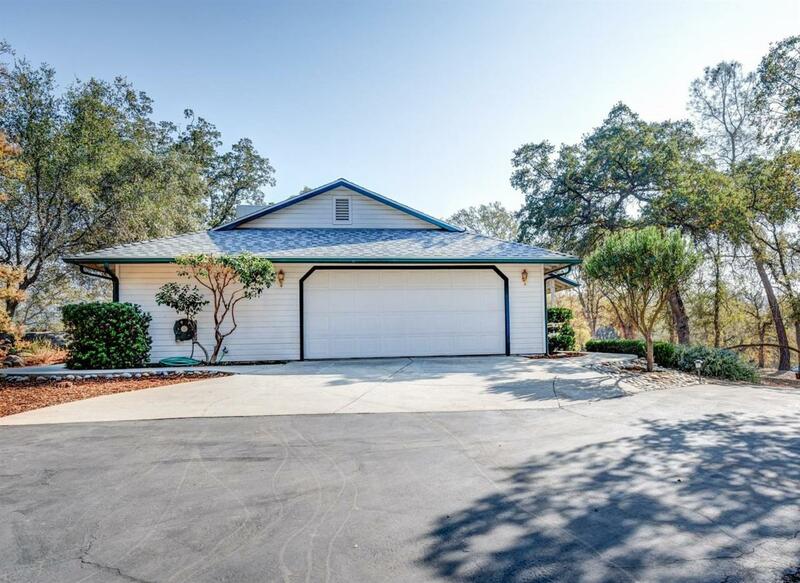 The paved driveway leads you to this lovely Coarsegold home where pride of ownership shows. 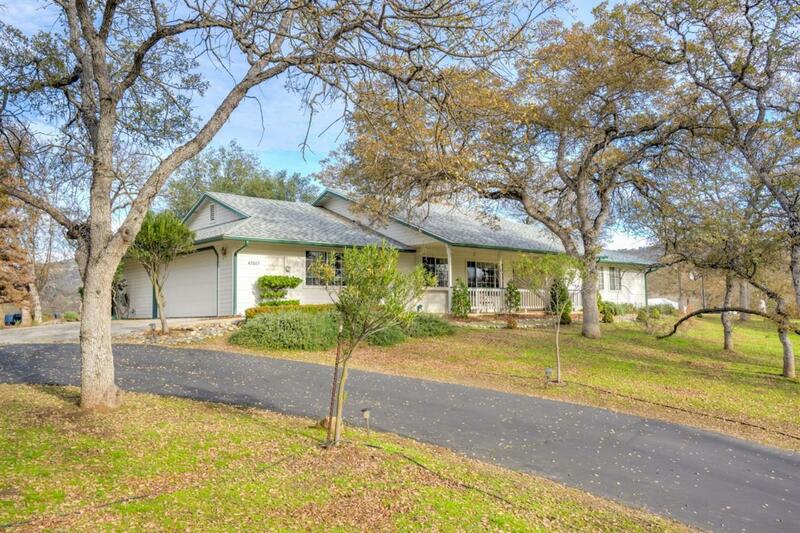 Situated on 2.51 gentle acres with lots of curb appeal and mature landscaping. 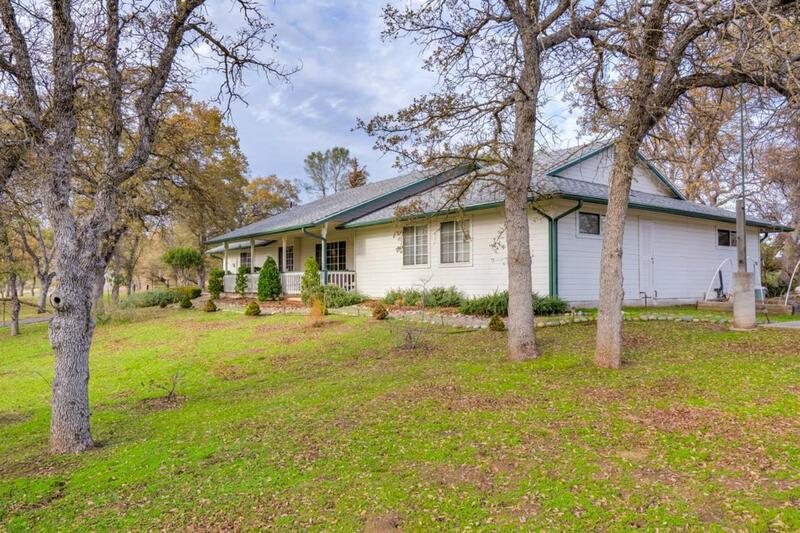 The home is warm, welcoming and move in ready! The floor plan is open and the vaulted ceiling and picture windows really add to the spacious feeling. The home features 3 bedrooms, plus an office/den with a closet, that could be utilized as a 4th bedroom. The great room also features a rock hearth and a wood stove to keep you warm during the winter months. From the covered front porch to the backyard with numerous patios and landscaping this home truly offers some gorgeous outdoor living space with mountain views. There is also a lighted sports court that could have other potential uses. Please take a look at the virtual tour to see the many features of this beautiful home and property!